Is the Sales Journey the best road for car retailing? The challenge for the future is clear. Increasing expectations by customers, an expensive legacy retail infrastructure and the conflicting ambitions of stakeholders in the distribution process. Not easy. My starting point is the customer. That’s you and me. Let’s be clear about what we want from a car and how we are best served in car retailing to get it. Strip it down to basics and most of us just want safe, comfortable, reliable transport which also says something positive about us to the world as we drive. Do you know anyone who enjoys the ‘sales journey’ of today’s car retailing with the medieval horse-trading of part exchange and the challenge of negotiating specifications, finance and warranties? Let’s start again from what the customer actually wants, not simply freshen up the sales order taking process. The customer experience should be easy and welcoming, seamless on and offline the same as it is elsewhere in our daily lives. Holidays used to be bought from travel agents (now 80% are online ), car insurance was sold almost exclusively in high street brokers (now around 50% is sold online via aggregators), food shopping was carried out in supermarkets and before Right Move and Zoopla came along estate agents used to keep the local photographer and printers busy producing property details and posting them out to customers. Throughout this retail revolution, the process of car retailing remained largely unchanged, albeit with some great examples of online prospecting and interaction. Remember that in the UK, the BCG survey into the use of the internet in retailing shows that this country is at the leading edge of online retail in the G20 (and by some margin). The same innovation that customers enjoy in the supermarket, bank and estate agent should be in the showroom. The internet lets us shop when we want and with the added opportunities through the advances in mobile we should be able to have it wherever we want it, too. I believe a new business model can emerge, based on the leasing concept, making it simple and easy for the customer. Think about an ’all-in’ monthly figure which includes use of your chosen vehicle, servicing, depreciation, recovery and insurance, and hey – maybe even fuel. Some will say that it’s here today, but it’s hardly front and centre anywhere is it? We should be able to click, watch, deal, turn up, swap over the keys and pay monthly. Sounds familiar if you’re a mobile phone customer. The people who created webuyanycar.com broke the chains between new car purchase and trade-in, giving freedom to purchase the next vehicle as a cash buyer. Who’s going to step forward with We’ll-buy-your-car-for-you.com where someone does everything for you from specification, finance, trade-in, insurance, delivers to your door and manages the servicing and breakdown? It could be a brand, dealership, finance company or new entrant entirely. The relationship between brand, dealer and customer will then be customer driven, as it is in other sectors as the internet powers the relentless drive forward and new models of business emerge. The motor industry is working away to find solutions. On 6th June in London I’m chairing an event looking at the future for automotive retail. The organisers Auto-Retail have brought together speakers from ASE, AutoTorq, Frost & Sullivan, MSXi, Urban Science and Vodafone to engage with senior industry leaders from brands and retailers in a day of debate at the SMMT . I’m really excited about the future in the motor industry because change is coming. Whether it is innovation in customer service by dealer groups, cars which can predict and manage servicing, intelligent use of technology to provide outstanding experiences for customers, better integration of sales and service teams, new ways of financing consumer transport or re-thinking the concept of the showroom, it’s all going to get better, faster and more customer driven. Steve Jobs the founder of Apple said ‘You’ve got to start with the customer experience and work backwards for the technology’ and he was right. My challenge to the industry is for anyone planning the next steps to go through the process of buying, servicing and selling a car with their own money to understand the real customer experience. That’s not a cheap dig, it’s a genuine provocation that can help to shape the future of automotive retailing. And so it comes back to where we started and where the focus has to be. The customer. If you have questions you’d like raised at the event, feel free to get in touch or tweet me @alclarkeltd and I’ll try to share the feedback during and after the event. About Al Clarke – I am a marketing and communications specialist who has worked in the motor industry at board level since 1997. I have held senior positions in global brands such as Ferrari and the BBC including a decade working as a journalist. I am a member of the Institute of Directors, the Public Relations Consultants Association, an expert member of the digital community Smart Insights and Life President of the Motor Industry Public Affairs Association. I speak regularly in the field of marketing communications to businesses and the media with particular reference to digital media. Find me on Twitter @alclarkeltd and LinkedIn. I think the challenge is not just about changing the way the industry retails but also changing the people who retail (either literally or behaviourally). Old school, engrained behaviours and scepticism about digital and its place in the retail chain are often barriers to real progress. Getting the technology, systems and data to talk together across the multiple providers that most OEMs and Dealer groups have, is perfectly achievable, is just not necessarily in any one providers interest to do so, and seldom do the retailers have the drive or motivation to really push for real integration. The opportunities are ripe, consumers are rapidly changing (not just how they shop but as you say, how they see the cars place in their lifestyle), but can the industry really be bold and make the step change? I hope so but time will tell. A great article and one that I can relate to, as said we all want it easy whatever we’re buying, car insurance, travel , shopping at a click of a button and to some degree cars are getting that way , more with new than used cars. I personally try to put myself in the customers shoe , I try to make it easy for customers to buy a car from me or sell me a car – ‘hassle ‘ free and with most I achieve this – as they say to me “ you’ve made it too easy” as we know all buying processes are easy – it’s just some business make it difficult. I suppose what makes it out job a bit difficult is the part exchange – other business do not have to take part exchanges, the customers descriptions can vary so much to the actual condition of the vehicle when you see it and the customers having the confidence with the supplier ( particularly used cars) to ensure the car is what it’s supposed to be – which sadly comes back to the ‘old’ reputation of ‘Arthur Daley motor dealers’. As time goes on peoples way of shopping has changed and I’m sure the next generation might click and buy more, I certainly have many customers who not quite click and buy, but buys cars without seeing .. its taking it to that next stage. I can completely see how this could happen for new cars. 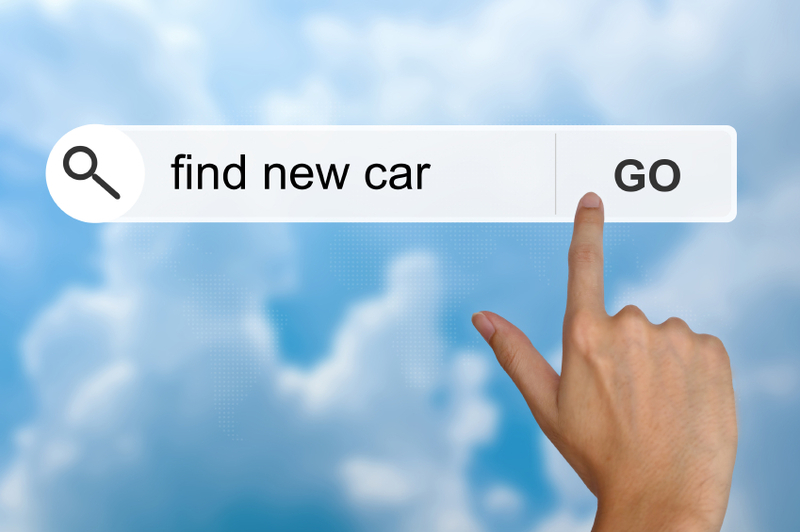 Customers are already buying cars online, choosing their spec and having it delivered. Paying monthly and servicing, warranties and insurances included. Not quite sure how this could work for secondhand cars unless you only have the big groups selling cars full stop or manufacturers & then you have problems too. Choice, freedom and making the customers experience as easy as possible is our goal. Mind you the next generation coming up aren’t interested in cars, so something has got to change. If it’s not at the end of their mobile phone isn’t not there. You cannot compare estate agents with car dealerships – they work on behalf of the buyer and the seller (conflict of interest?) with little redress if something goes wrong – if you find out after purchase that your house has a problem, it’s not the estate agent you pursue, it’s the surveyor. Right Move and Zoopla are mainly advertising mediums, which has changed the way how and when house buyers initiate their search – but does anyone actually buy a house without physically seeing it first? In the same way people see renting a house as ‘wasted money’ not everyone sees the benefits of renting a car – but there are also limitations to being tied to a vehicle for a set contract term. What happens when your circumstances change during the contract? Dealers offer part exchange for two reasons – convenience for the customer and to generate used car stock. There are other options for the customer – sell privately (but most can’t be bothered with the effort/cost/inconvenience) or sell to We Want Any Car type operations. How many private sellers are truthful about the condition of their car? We have seen with Tesco’s short foray into the on-line used car market, that even when you have a strong brand image, a huge database of potential customers, finance and insurance facilities, an enormous marketing budget, and a different business model, success is not guaranteed. In many areas, the motor trade has led the way with customer service initiatives – if your laptop goes wrong, will PC World lend you a replacement whilst yours is sent away for repair? The main purchase decision for buyers of car insurance is now cost – this is driving insurers to put pressure on body repair shops to either accept contract payments for repairs or to take shortcuts in repair – the most commonly used phrases in insurance policies is ‘we may decide to repair your car with recycled (secondhand) parts or parts which have not been made by the cars manufacturer’. If when collecting your repaired car from the bodyshop you were told ‘we’ve used second hand parts and panels which have not been tested to ensure your safety in an accident’ would you accept the repair? Cheapest isn’t always best! Until the car industry changes the way it recruits, trains, motivates and remunerates it’s people, salespeople particularly will only focus on what benefits them now. If you offer £100 per week basic pay, what quality of person are you likely to attract? Does there also need to be a re-education of the customer? Where does their loyalty lie – with the brand or the business which represents the brand? We have already seen the changes that bodies like the FCA are having on dealerships – for many businesses, the additional cost and time involved in being regulated will not be worthwhile – so customers will have less convenience and possibly less choice over many aspects of their purchase. Amazon decimated the high street with bookshops and record stores disappearing, but there has been a resurgence of specialists who stock products and offer services that Amazon can’t/won’t and are thriving on the high street.